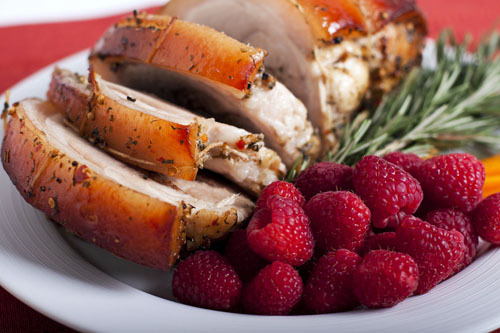 Like no other Boneless Pork Roast you’ve ever tasted – rich and complex flavors. Savor this uniquely moist and flavorful center-cut pork loin. Aged to perfection and presented to you compliments of Hill’s Home Market. Preheat oven to 325F. Remove the roast from its packaging and place in an oven-safe dish. Cook uncovered for approximately 70 minutes or until the internal temperature reaches 160F. Remove the roast from the oven and let stand for 5-10 minutes. Carve and serve.